Disclaimer: This is a very short post. Rapture is an excellent choice for a book club. The Book Club tab has been updated with discussion questions. Readers are invited submit their own questions. I would love to hear about your book club discussions. Please send pictures. I’ll post them on the website and blast them on my social media networks. There is a gracious panoply of information in cyberspace about publishing in all its varieties–traditional, independent, blogging, etc. I had decided I wasn’t going to add my voice to the cacophony, but here I stand ready to give my two cents. I am an experienced fan fiction writer, aka Butterflypages. I say that lovingly and proudly since some in the writing community shun fan fiction after they are published. I acknowledge the significant role my fan fiction reviewers played in my decision to write a novel–akin to having a cult following (and future customers). Writing for this site simply made me a better writer. My word counts increased. I learned how to stage a scene–how to write dialogue. Fan fiction became my sandbox where I played. It also became addicting and sometimes I wrote compulsively if that makes any sense. I add one caveat. Given the nature of instant reviews, you get trained (in a Pavlovian sense) to expect immediate gratification. On the contrary, when you are writing a novel for publication, there are no champions until you publish–unless you have an active writer’s group. I did not have this. It was difficult to quiet the pleas of my fans to, “UPDATE PLEASE!” when I was in the thick of writing my novel. At times, I preferred updating to working on a chapter in my novel because upon posting I would receive the engagement and adulation I was salivating for hence the pavlovian response. 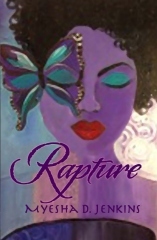 I have self-published my first novel, Rapture. I will never tire of noising this abroad! Yay! I chose not to take the traditional route for several reasons. My angelically fabulous husband sponsors my writing. In other words, he is working and I am not–I write full time. However, there is a time limit on this arrangement because ends have to meet! Because of the time limit (unless my book(s) blow up), I did not have time to send out query letters for agents. There was no time to mail manuscripts to publishers (blah!) and wait an undetermined time for rejection letters. Honestly, I knew my story would be a hard sell–about two married African American women falling in love with each other–for those not interested in diverse voices and stories (I have more to say about that in another post). Because of these reasons, I chose self-publishing through Amazon with CreateSpace. This company provided a one stop shop online interface that walked me through the entire publishing process. (Now that I’m finished, I must laud their customer service even now!) Once I had a final draft, I uploaded my file, and went through a series of steps to prepare it for final review. Shortly thereafter, I received an online proof to edit along with an (ordered for a small fee) actual physical book proof with my created cover. I repeated this last process as many times as I needed until I was ready to publish. I had the option of choosing from a number of canned covers upon which I uploaded an image. There was also the option to upload my own custom cover. I wanted to publish an ebook as well. CreateSpace automatically sent my book file to Kindle Direct Publishing for the ebook migration. This was where the learning curve deepened. If you go this route, please prepare your file for ebook publishing. Do not send your formatted for printing book file. I won’t go into detail, but ereaders don’t like all the “junk” hidden in word processing documents. Word processing functions best for printed static documents. Ebooks should have flow and the ability to be read across many platforms. I must explain why I qualified easy with quotation marks. The process is manageable, but there is a small learning curve especially when it comes to managing Microsoft Word and preparing your Word document for ebook publishing. Amazon provides a free ebook that outlines the process of formatting your document to publish as an ebook. However I didn’t read that. Instead I planned to prepare the document myself using advice from Guido Henkel and David Gaughran. I needed to learn the basics of html coding, purchase text editing software, and become adept at using the Calibre ebook management software. I will admit that after finally finishing my novel, I wasn’t up for learning these things. I had to be honest with myself. That taking stock led me to the Smashwords style guide. I followed its guidelines and prepared my Word Document for Kindle publishing. It was easier, but still very tedious as you get up close and personal with the idiosyncrasies of Microsoft Word. Perhaps in the future, I will follow my initial plan. I didn’t publish on Smashwords because there was some inexplicable issue with my cover even though it met all the specifications. I couldn’t find a support button so I (sheepishly) tweeted the founder and left a comment on the support blog. By the time I received a response–hours later–I had chosen to publish my ebook exclusively on Amazon. I do not seek to malign Smashwords. I think it is a viable ebook publishing service. I benefitted from the style guide. When I begin my next book, I will be sure to set up my formatting first for the print version file and the ebook file in two separate documents. CreateSpace offered professional services (editing, cover design, marketing, et al) for fees, all of which were out of my budget. I was thankful that they provided the print on demand option that was “free.” When I got stuck on any part of the process, I could call in for help or search their vast database with access to an online community of authors. 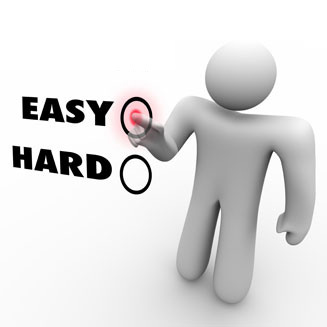 Publishing with CreateSpace was “easy” and essentially free. You have to be patient, good at following directions, and adept at problem solving. Well, there are my two cents. Please feel free to drop me a line if you have a question. I could devote many posts to every stage of the process. I wish you words! Reviews are what will convince potential buyers to click (or not to click) that purchase button. At this crucial time, after you’ve expended a tremendous amount of effort to birth your baby…reach this milestone, you shouldn’t have to be discouraged by yet another speed bump in the road. I will review your book and post it on my website and a host of other social media outlets. I promise a fair and impartial review. Additionally, I don’t have any restrictions on what I will review–fiction or non-fiction. The only thing I ask for is a small donation of $10. Please read my review policy for more detailed information and the review form. Be encouraged! The Mystique is Gone. It’s Gone Away. Almost 24 hours have elapsed since I…Myesha Danielle Jenkins…became a published author. When I was neck deep in the process of getting to this milestone, it held a certain mystique. Intellectually, I knew there would be no outward difference. I touch my foot on the left of the finish line: unfinished. I touch my foot to the right: finished. “Unfinished, finished, unfinished, finished…” But still, now that I can’t go back and forth–I am at once, finished–the mystique of it all is gone. I am still Myesha, the woman who furiously bites the inside of her mouth and chews the minute pieces of skin between her teeth; who loves the idea of being a great cook–can cook–but would much rather be doing something else; who is really clumsy and awkward when excited; who loves to dance but doesn’t get to as much as she wants to except for at home while her family gives her the side eye; and I could go on. My life is essentially the same. But it is not the same. I have been stretched and pushed in ways that have changed my composition–much like the body of an athlete or dancer–into something different. I am on the other side of it. 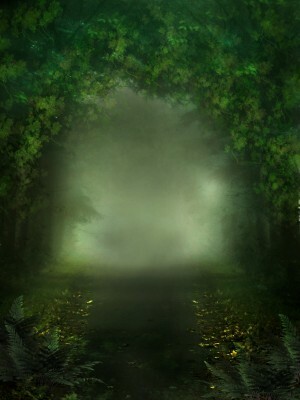 I have walked into the dark wood, down the well worn path, and into the company of so many others–those tortured by the words that were screaming to break forth. The mystique is gone because those words are gone. I have more words, common as mud words, that I have to give. I know they are meant for someone out there. That’s right! 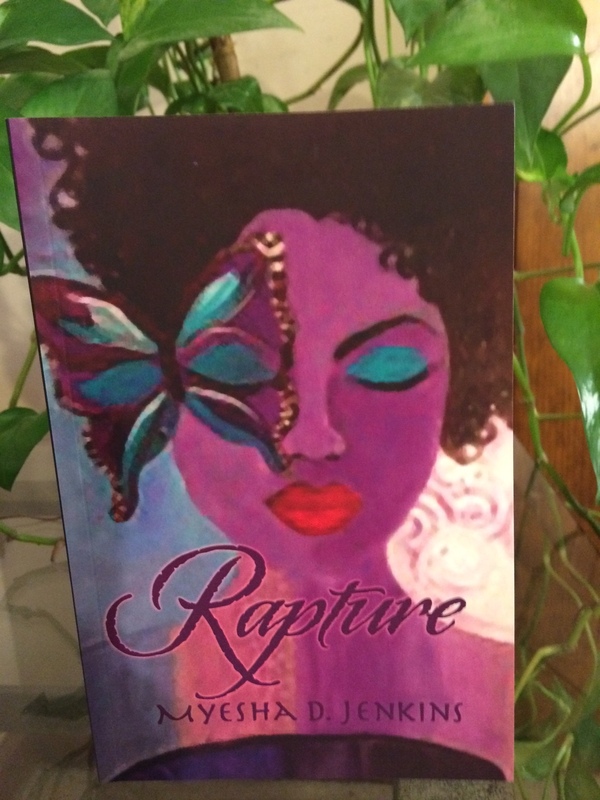 I’m feeling exceedingly happy because my novel, Rapture now available for sale on Amazon in paperback and Kindle formats. I have much to share about this self-publishing odyssey. Those stories must be left for future posts–the angst, the solitary sitting in the chair. the whining–mine–, and the clumsiness. I’ll share a little about the latter. I am dangerous when I’m happy. I get clumsy. Instead of being a room without a roof, I will blow up the entire house. Today, I elbowed my husband in the eye, knocked a painting off the wall, and opened an unpopped container of microwavable popcorn (by mistake). More about that later. I debated on a soft opening, but hey, why must I wait? Two women. Two marriages. Love changes. Candace Vance is the wife of Rev. Nathanial Vance, the mother of two sons, and an elementary school teacher. Seemingly content in a happily married default mode, she crosses paths with Adia Knight and grasps for something different. Seeking to renew her marriage, Adia Knight agrees to relocate to Atlanta after her husband, Judah, accepts his dream job as the director of an addiction counseling center. Adia is a self-proclaimed writer and part time lecturer trying to find her way professionally. She is uninspired and between teaching jobs. Candace and Adia are drawn to each other, becoming fast friends. They are soon entangled by their consuming love and passion. Candace envisions a forever love with Adia. Adia is content with the love they have right now. Their tumultuous bond threatens the very foundation of the lives they have built with their husbands. Get caught up in the Rapture. Read me. Review me. Love me. Okay, so the process never ends! I have reviewed the third proof of my book and it’s ready to be released. I’ve revealed my cover and three days of two word hints about the narrative on social media. (I need to do that on my website). What comes next? Reviews. As I sift through the plethora of book bloggers’ sites, I’m finding that the process is more daunting that I thought. Perhaps I hadn’t given it much thought because I was focused on writing the thing (said lovingly). No, that isn’t entirely true. I recall reading articles on the process of getting a book professionally reviewed. After seeing the sticker price (hundreds of dollars) and the turnaround time (7-9 weeks…more in some cases), I decided against a professional review. Indie authors are better served by pounding the virtual pavement of cyberspace and visiting book bloggers’ websites, reading their review policy, and hoping they review your book. These bloggers are “regular people” with a voracious love of books and reading who post their reviews on major sites like Amazon, Goodreads, Barnes and Noble, and their blogging sites. They may also link to your reviews via major social networking sites like Twitter, tumblr, Facebook, and Google+. This all serves to drive folks to your book. The more reviews, the more chances someone will purchase your book. It’s not just indie authors who use these bloggers–publishers send review copies to them as well. This is yet another aspect of the publishing process where you have to work to promote yourself. You have no marketing department whose sole job it is to promote you. It’s you, you, you, and don’t forget about YOU! If you have an active life on Twitter, tumblr, Facebook, et al, beware of approaching followers about reviewing your book especially if they don’t advertise as book bloggers. I was shocked to read an article on my Twitter dash about this. It wasn’t directed at me as I have only approached book bloggers, still it was like a slap in the face. It made me shy about asking for reviews, though I soon let that roll off may back. Be ready to be denied. The market is inundated with self-published books so it will be hard to get noticed. I know this intellectually, but it still hurts. Pick yourself up. Brush yourself off. Take a deep breath. Keep pounding the pavement. Know that there are people out there who want what you have to offer. Make that your mantra. I have to add approaching independent bookstores. I’ve approached one so far and am waiting on a response. If you are still in the writing stage, know that finishing is just the beginning…again. The closer I get to my publication date the more I realize the tremendous confidence it takes to publish. I must qualify and personalize. It takes confidence (and support) to quit ones job and strike out to write for money. You harness words to create some reality and hope readers will enter your manufactured reality. No. You want readers to pay money to enter that manufactured reality. I am either an ambitious person; or rather, I am an impulsive person who strikes out without weighing the pros and cons. Maybe I am a mixture of both–one part ambition and one part impulsivity. Mix. Let stand and serve chilled. I’m not having doubts, but I am anxious. In the face of my anxiety, I do have faith that I will achieve success. It’s just that in the crowded cocktail of my social media outlets it seems like everyone is doing it all. Where is the angst? I need to see the angst. Sometimes I have to disconnect because I begin to compare my beginning to someone else’s middle. I develop a big case of the “angstiety.” Can my anxiety faith get me through? When I start to feel my confidence draining from my ear, I go inward in search of it. “Myesha,” I say, “Girl, you have stories to tell. Just write them and the readers will come–maybe not in droves but in trickles. If my book causes one person to stay up all night to get to the end, I will have achieved success (hopefully they bought it…tee hee). Daily, I need to look within for that confidence and add it to my recipe. For all you writers out there like me, here is a dash of fellow feeling. I am pulling for you. Be confident. Be ambitious. Be impulsive. My definition of angstiety: 1. persistent worry and recurring thoughts dread, usually unfounded and manufactured because you can’t control all the variables that affect a given outcome. 2. Fear or worry that you will be left behind in everyone else’s fabulousness. Years ago, I worked as a hostess at a popular chain restaurant. I was Cora, the controller of the board. Perhaps you’ve noticed these boards during a visit to a restaurant. Sitting on top of the host’s stand, is an aerial view of the restaurant’s dining room. This board gives the hostess the information needed to seat guests in the appropriate server’s station. The Cora tells the Flora, the hostess watching the floor and seating customers, where to take the next party. There is also Dora, the hostess who stands at the door, greeting guests and sometimes handing out pagers. Cora is in a position to positively or negatively affect the way the restaurant runs. If Cora seats too many guests at one time, the servers get in the weeds–behind on their steps of service. The kitchen is hit with too many orders at once, stressing the back of the house staff. On popular holidays, this is inevitable, but a skilled Cora can ease the pain. On one particularly busy Valentine’s Day, I was Cora. The foyer of the restaurant was neck deep in anxious couples who wanted a table. This restaurant did not take reservations. I had to use my handy formula for determining the wait time–usually 2-5 minutes per party. Using the conservative scale–2 minutes–the 5th party in line had a 10 minute wait. On this day, I was quoting wait times of 60-90 minutes. My guests were hungry and losing that loving feeling. In the chaos that ensued, I kept my cool. I dealt with each party cordially and professionally. I didn’t let the grumbles of guests get to me. I had reached a sort of Hostess Cora Zen state. “How do you remain calm?” asked one guest who had been waiting for awhile. “Hmm, I don’t know,” I said. “The more chaotic it becomes, the more peaceful I become.” He gave me a strange but awe-filled look. I imagined him wondering, What manner of hostess is this? The general manager often remarked how skilled I was at this position: “When Myesha is Cora, the restaurant runs so smoothly,” “You take care of everyone, the back of the house and the front of the house,” “When I’m in the kitchen, I can tell when Myesha is Cora without laying an eye on her.” These comments gave me joy, of course. I tend to flourish in high pressure situations. This experience as Cora came to my mind recently when I was contemplating the task at hand: editing my manuscript. Yes, I repeat, “I am editing my own manuscript.” I paraphrased a popular quote to sum up how I feel about this. “An author who edits her own book has a fool for a client.” This is my reality, and I will soldier on, fool that I am. I have one reader, my husband, whom I appreciate immensely. He finished reading my first draft even though reading isn’t at the top of his leisure to do list. I surreptiously put it on the top of his “honey do,” list. But who is more biased than your spouse? I now realize that I can pull from this same reservoir of zen that helped me be a stellar Hostess Cora. After months of deliberating, I made the decision to play the fool. But I will have the last laugh if I garner my Hostess Cora prowess while editing. Who knew that a hostess and editor shared the same skill set? I have all the editing resources I need. I have the time and space to edit. Now I need the calmness and peace of mind it takes to be alert, diligent, and patient enough to edit my own work. Each day when I sit down to edit, I must meditate on it. Breathe deeply. Focus on the words. Root out grammatical and spelling errors. On the second pass, I must look for plot inconsistencies and disjointed places in the narrative. On the third pass, I must read the entire manuscript aloud. The task at hand is doable if I become Zen Cora and not give in to impatience. Currently, I am one third of the way through my first pass. I can do this! I’ve been working since 9:30 AM, almost 13 hours now. It’s a Saturday. I could justify this because my daughter was out of town, my husband was at work, and my dogs–well I didn’t walk them. I edited my appointed chapter. Editing one chapter thoroughly takes the full work day, and usually, on a week day, I stop when I am done. Today, after finishing, I worked on my website and my other social media sites. It was my plan to create a consistent visual brand identity. I will admit that I wasn’t the best at self care, though I did soak in some rays on this beautiful spring day. This is not sustainable behavior, I know. When you are working for yourself, it becomes easy to blur the lines between personal and professional. I’ll do better tomorrow.